In this episode Mushtaq Bilal--a Fulbright scholar from Pakistan working on his PhD in the Comparative Literature Department at Binghamton University--explains how he sees World Literature as a mode of writing. This mode of writing is one that is not dependent on the nation-state, and in fact, resists the nation-state. Mohsin Hamid's new book Exit West is the central example as to how one can start to think of a writing style that is both particular in its experiences but has a sense of anonymity in its location. Garcia, Daimys and Bilal, Mushtaq, "Episode 5: World Literature as a Mode of Writing" (2018). 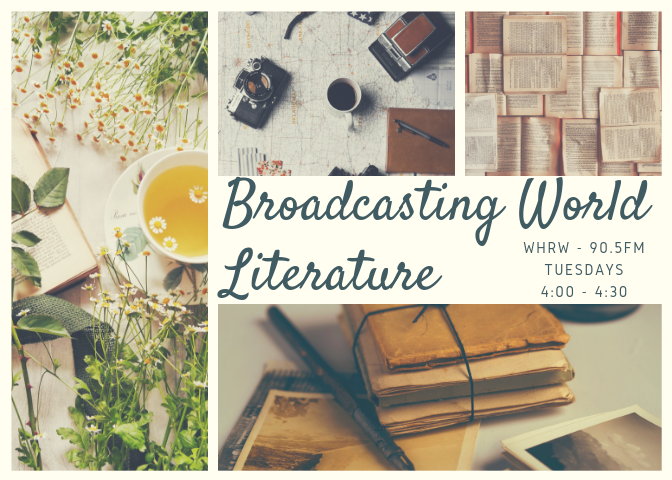 Broadcasting World Literature. 5.